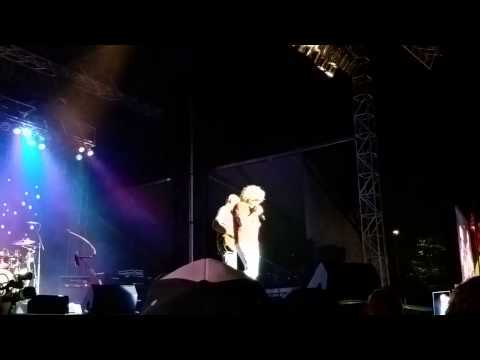 Catch Sammy Hagar & The Circle at Ribfest on July 3rd in Naperville! 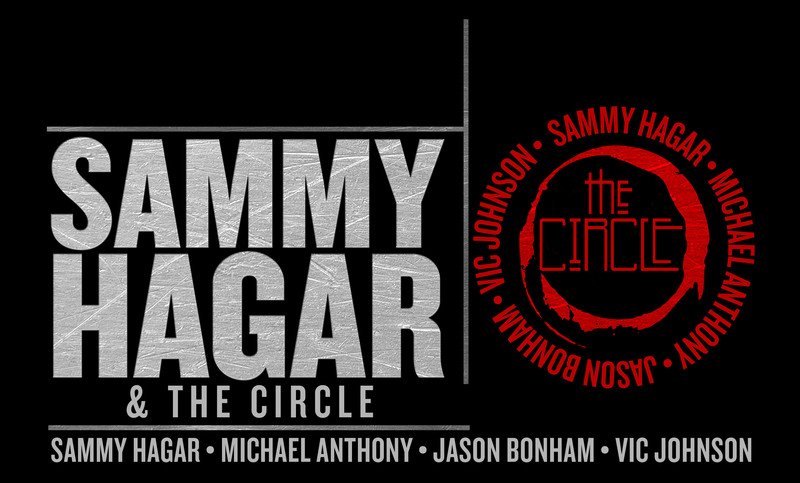 Sammy & The Circle will be playing 4 decades of rocker (Montrose, Redrocker solo, Van Hagar, Wabos) as well as classic tracks from the Led Zeppelin catalog. Ribfest 2015 will run from Thursday, July 2nd - July 5th! Ribfest recruits the top rib vendors in the country. Voted best fest in the Midwest! It was an incredible show!!! Everyone was in top form. We just got home from the show, WOW, Sammy, Mikey, Jason ,Vic. best show we have seen in a long time. Thank you. great music and you seemed to be having so much fun!!!!!!! Thanks again for caring enough to keep doing this for us. PS, I asked her and she said Yes!!!!!!! Absolutely going, can not wait to see The Circle! Ill be there. Chicago people, find me!!!! Who all has front of stage tix??? I have an extra FSR ticket if anyone is interested. Backstage with Van Halen in 1993. I have a MINT Condition NEW Promo Copy of Montrose's 1st Album that has never been played. The jacket and record are perfect and I would like to give it to Sammy personally as a Gift. PLEASE CONTACT ME ASAP via email to make arrangements. FYI - I met Sam via the late, great, Ed Leffler in LA in 1992 and want Sammy to have this Rare Promo Record, as it is probably the only one that exists. THERE'S only one way to ROCK ! 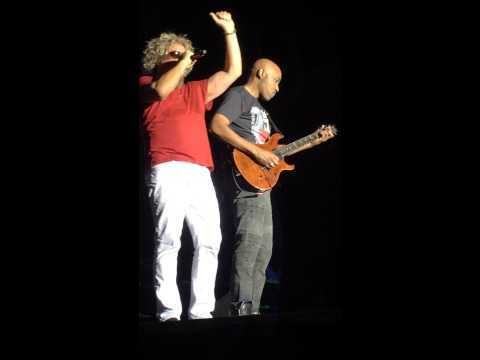 That's with the RED ROCKER ! Will be there, up front ! Got invited to this show. We can't wait. Coming in from Houston! I've seen this band on their warm-up tour last summer and at the Vegas Birthday Bash...they rock. Jason is a master on the drums and Sammy can sing the Zeppelin songs. Get to spend the weekend with some awesome friends. Us too!! Making it a Sammy Hagar type of weekend with that AWESOME band The Circle!! Going to be a great weekend, seeing this show and then going to Summerfest in Milwaukee for that show on the 4th! Cannot WAIT for this...and so glad I noticed the pre-sale!